Off-axis guided with Astrodon MOAG and SBIG ST402 CCD. Astrodon 6nm H-a filter and E-Series RGB filters. 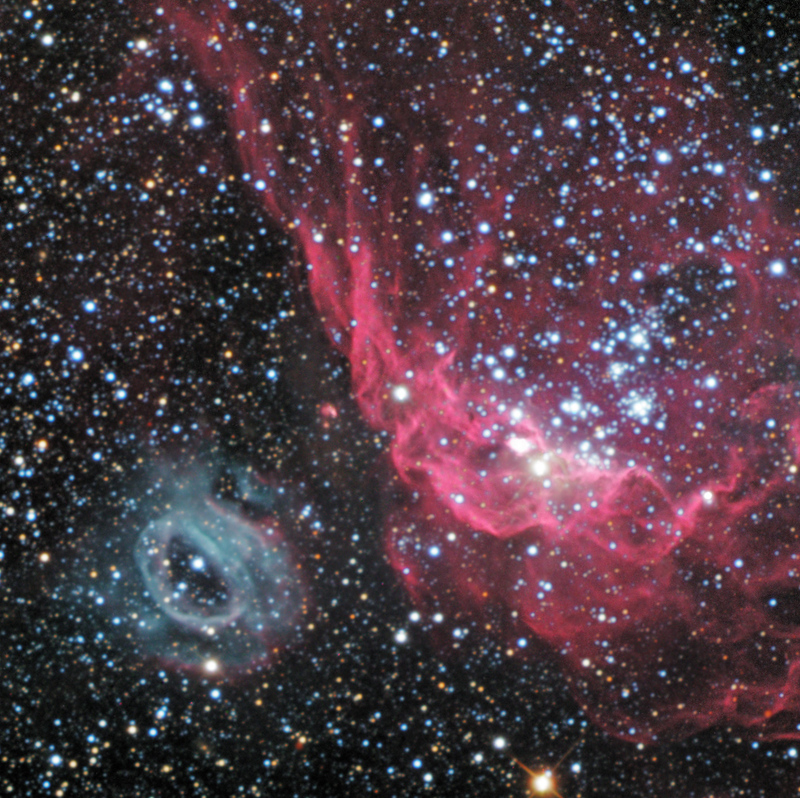 NGC 2014, Heinze 55, is a interesting region near the Large Magellanic Cloud. The object on the right is a classical emission nebula energized by a bright open star cluster. The object on the left is not only rich in H-a emission, but most likely in OIII, as evidenced by its teal color mixed with magenta H-a. With a blue star in the near the center of the object, this could be a planetary nebula, or Wolf-Rayet type of bubble.